Compare the 500 daily attempts to jump on the back of lorries to the 137,000 migrants who reached Italy and Greece in the first half of 2015, and the numbers are far from huge. It is worth considering that they are often multiple attempts by the same people. While certainly enough to disrupt the Eurotunnel operation – combined with current disruption caused by prolonged strikes by ferry workers in France – these incidents and the surrounding rhetoric of invasion bolstered by journalists’ easy access to Calais should not let us lose sense of the broader picture. Calais is not a local issue. It is one manifestation of the global refugee crisis, but not one of the acutest. 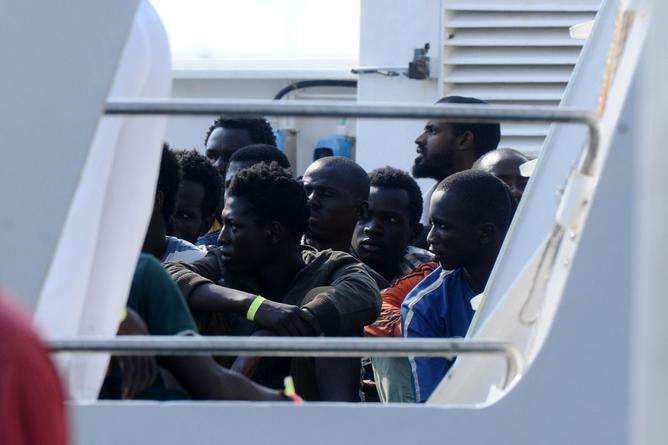 Rescued migrants arriving in Palermo, Sicily in July. Nando Sigona is Senior Lecturer and Birmingham Fellow at University of Birmingham.